I seemed to have had a lot of mentions/”requests” for blog posts recently and I have been feeling a bit guilty about abandoning my writing the way that I did. Unfortunately, like others, life has gotten the best of me and my time is short and this activity fell by the wayside. There are oh so many blog posts in my head, they just haven't yet made it to the (electronic) paper. I hope this marks my return. Today I found myself scrolling through my facebook timeline and reading a bunch of my old posts. They made my heart swell. I realized that blogging was giving me a way to capture the fleeting times in my life that are worth remembering. I know that I should continue to do this. For myself, for my girls and hopefully for others that get some pleasure out of reading my perspectives on life. Reading through these posts has made me realize something that has been hitting me hard these days. Parenting is a rough road. And it now seems like those earlier years were much simpler. Ah, hindsight; you are 20/20 looking through rose colored glasses. When your kids are young there are certain ways to “measure” how you are doing as a parent. These milestones serve as reinforcers of a job well done. Is your baby growing and thriving? Is your baby sleeping through the night? Does your baby have a good temperament and seem well rested? Do you remember to always stock your diaper bag? These questions have discrete answers and it is fairly easy to make changes or get advice if you seem to be misguided. Now, step into parenting a 5 year old and a 7 year old (disclaimer: this is where I am now, and I’m sure that the teenage years will even be worse). The discrete measures of successful parenting have fallen by the wayside. Now you are basically guiding different decisions that your child is making. But their personality is evolving and they now have opinions. Some you may like, many you may not like and you may even have some regrets about things you have done or have not done in the past. I have made decisions and given opinions that have shaped their personalities, good and bad. 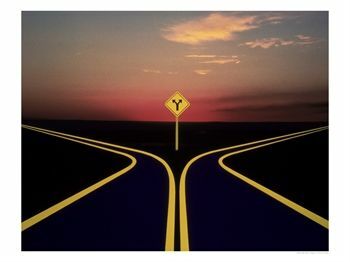 Basically, just like in life, their road is being paved and as they are moving along as time continues. There are some side streets that you may have passed that you can no longer turn down. And this is where I am struggling. I am watching my smart, kind and loving 7 year old trying to forge her way in the world. She is going into 2nd grade. I know this is only the beginning, but she is trying to figure out where she, like a puzzle piece, fits into a circle of friends, in sports, in school. There seems to be a fork in the road in the near distance. Soon she will stop having playdates with all the kids in the class and she will find her group of friends. -I hope they are kind. Soon she will need to decide if she loves sports more than dancing or gymnastics. -I hope she will find at least one of these things that she can excel in. Soon it will be determined if she is good at math or reading or both. -I hope she does not have to struggle in school. Soon she will be teased or will feel left out. -I hope she can weather that storm and it will make her stronger. Soon she will be a leader or a follower. -I hope she will be a leader and forge her own path. Soon she will realize that some things can be perfect and some things can’t. That some things can be fixed and some things cannot. -I hope that this comes later rather than sooner. Soon she will realize that she may not like the hair on her legs, or the shape of her belly. -I hope her inner voice will accept her for who she is. These are just some of the things that are on the horizon. And they are scary. And sometimes I am at a loss for the right words or the right answer. So, I will continue to forge onward and try to direct her to the path that is more sun than storm. There is no guidebook that leads to greatness. But I hope this road that she travels will ultimately lead to her own happiness, as that will be the ultimate measure of a job well done. 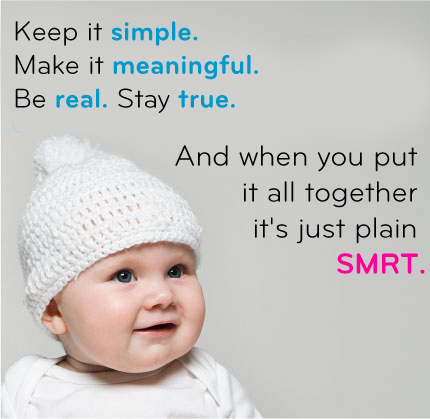 I am proud of my friend who started a new website smrt parenting. Their new "reality series" contains tales from women with different strengths that want to share their stories and struggles. Here is my recent piece on "The Reality of the Balancing Act". Enjoy! 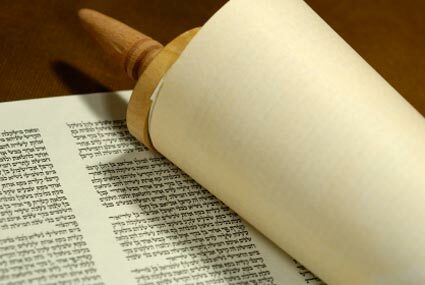 Tonight is Kol Nidre. I am reminded, and have been reminded by others, of the events of last Kol Nidre. A night where I sat next to a man, a (then) stranger, who died next to me. He was in the right place at the right time. In a synogogue full of doctors, a defibrilator, prayers and possibly even God, this man died and then was restored back to life. And he is still living. Today, he has had 365 extra days of life and stories and memories to share with his wife and family. And I know they are grateful. I, too, today, am reflecting on life. Last year I was happy and complete with my husband and 2 beautiful daughters. But now, in this last year, I have grown an entirely NEW life who was not even a thought in my mind one year ago today. That is amazing. 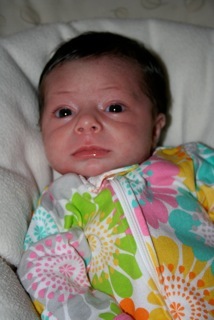 I am now blessed with my 3rd baby girl who is now 3 weeks old and has made our already complete family more whole. She is healthy and beautiful and requires 24/7 attention. And I love her. To all those who have written comments or have emailed, I am sorry I have been out of touch. I will be back as soon as this little one allows. I just re-read my post from last year and it still touches me...so I will repost it below. L'Shanah Tovah. It was the holiest day of the year. Kol Nidre. The night before Yom Kippur. I entered the synagogue after a filling meal preparing for my fast. Running late as usual. Looking around to find my family and my seat before the service started. There they were. In the usual place. We embraced. Ready to be inscribed in The Book of Life. Then it happened. Something I was totally unprepared for; yet, I had spent years of my adult life preparing for this actual moment. I turn to the elderly man seated next to me, he is slumped over in his chair; no breath, no pulse, no life. His heart had stopped. In this most sacred of places, on this most holy of nights. Right next to his family. Just as he was to be inscribed in the Book of Life. I remained calm and my doctor instincts took over. I have done this before, so many times, so long ago, it seemed. Yet this was so different. The hospital is a safe, controlled environment. There are masks and medicines and respirators and IV lines. Here, there is none of that. Just a bunch of well trained physicians and other caring members of the community wanting to help. Praying that this breath would not be his last. He lay across on the chairs where we were seated. I felt his neck and confirmed that he was without a pulse. Delegate. Someone call 911. Start compressions. I look down. It is my duty to give him a breath. No bag and mask. No comforts of the familiar "code blue". I bent down and began to breathe for him. And then started chest compressions to circulate the blood that needed to get to his brain quickly. He was moved to the hallway. The life saving device was there. An Automated External Defibrillator. Another doctor placed the pads, called all clear, and the life sustaining shock was delivered to the patient. The patient, a husband, a brother, a father called Abba. It had been about 4 minutes. It seemed like an eternity. And then a breath. And with that, a return of a pulse. And his eyes opened. "Abba, don't leave me", his son insisted. "I am here with you." Time passed, EMS arrived, the patient was stabilized and transferred to the hospital. He was awake, combative and breathing on his own. On his way to a recovery. From death, back to life. Great is the eternal power at the heart of life; mighty the love that is stronger than death. Faithful love gives life to all, the acts of grace restore our strength. Words I have heard every year at this time since childhood. Yet tonight, they took on a new meaning. Life's harsh winds uproot the weak; its hard rain beats down upon our kin. Let those who stand support the falling, keep faith with those that lie in the dust. And while I would not classify myself as deeply religious or even necessarily spiritual, it was hard to hear those words and not feel as though they were being spoken directly to us. To all those who helped bring this man back to life. To the sick, we must bring healing; and to those that are bound, release. We give thanks for the power to live and act, for the blessing of love that is stronger than death. Was there some divine intervention that put me in this place? Was this night not supposed to be his last? Could his family's blessings of love save this man from death? I sat through the rest of the service and continued to reflect on what had happened. I spoke the words that I have every year, tonight, with more conviction. Birth is a beginning, and death a destination. May this year be a happy and healthy one. L'shanah Tovah. Tomorrow I will put you on the bus and send you off to your first day of kindergarten. Tonight you asked me if I could believe that you are starting school tomorrow. A part of me CAN'T believe it. As I sit here ready to give birth to your sister, I can remember what my life was like waiting for you to come into my world; 5 long, yet short years ago. I remember looking at you, so small, and wondering what you would become. I remember thinking that I couldn't wait for you to talk, because I couldn't wait to hear what you had to say. Now I know. And I love every little square inch of you. And even though I can remember life before you, I can't imagine my world without you. The other part of me CAN believe it. I have seen how far you have come. Now I know you. I know your moods, your silly songs, what makes you mad and what makes you smile. I know you are ready for this. Not just because we have been practicing your letters and the sounds that they make. Not because you can count to 100. Not because you can write your name without messing up any of the letters. But because you are ready to blossom. You are ready to share your charm and your essence with the world. You are ready to learn. From your teachers and from your classmates. To learn about reading and math, but also about making friends and fitting in. Some lessons will be easy for you, and some will be hard. Just like life. You are a big girl. You won't always need me anymore. But I will always be here for you. This is just the first of one of many of those days that I will realize this. This is the first of many baby steps to come. Baby steps that will lead you on your path of independence. Please take them slowly. I have taught you to have good behavior. I hope you will say please and thank you. I know you will be the shy version of yourself tomorrow and I'm ok with that. In time, your little light will shine for everyone to see. This is the first of one of many small, yet big milestones. I'm just not sure that I am. Rather than address my consistent lack of blogging and my persistent writers block, I have just decided to (try to) dive back in and get my groove back. Lets hope this works. One of my favorite blogging sites is called "Mothers in Medicine". It is a collaboration of blog posts from doctors or other health care professionals of different specialties and their perspectives and struggles in managing it all. And while most of my readers are likely not doctors, the issues and that are addressed on this site are universal for all working (and even SAH) mothers. Pay the site a visit, you might find it interesting. 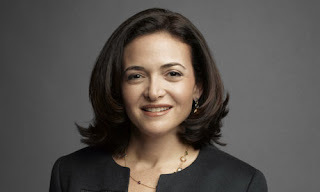 They recently posted a clip from YouTube of Facebook's COO, Sheryl Sandberg. Since watching this, it has fueled something in me to want to share this with all the other women I know. Both young women and older women. High School students, college grads and those who have already set forth on their career paths. Mothers and those that want to be mothers someday. And that desire to share this has driven me back, FINALLY, to the blog. And I am grateful for this. This clip is about 15 minutes long and well worth watching. Not only because this woman is an inspiration to myself and should be to all women. Not only because she ran this speech by Gloria Steinem (!!!) before she gave it. Not only because she was recently featured in Vogue. Not only because she has a net worth of $400 million and is just over forty. Not for any one of these reasons, but for all of them, and more. Lets hope that this can inspire some of you too. Maybe it will inspire you to stay in the work force and find your perfect balance. Maybe it will inspire you to lean into your career rather than pull back. Maybe it will inspire you as a mother to be a strong role model for your daughters. Maybe it will inspire you to pursue whatever it is that fuels your passion or challenges you. Or maybe it will just give you something interesting to think about. So, go ahead, watch it and then share it with other women. 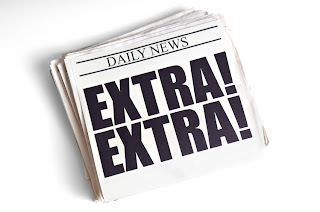 So, in the past couple of months I have been noticely (or, you may not have noticed) absent from blogging. I'm not sure exactly what has pulled me away from this space. Well, it hasn't been one thing, but a bunch of things. Thankfully, my practice is growing and I have found myself pulled in the direction of patient care. But this is not the real issue. The real issue is that I find this place to be a place of honesty, one where I put out my true thoughts and feelings and hope it affects some of my readers. But, for some time, I have been forced to be private. Just in case. So, now I have good, no, amazing news that has been boiling under the surface. Under the surface of my belly, that is. I am growing baby #3. There, I said it. I have put it out into this universe. And as I put it out there I am terrified. Terrified of something going wrong. Worried that it may not be true. Nervous about the future. And it will be this way until Semptember, when the newest member of my family will make her (or his!!!) debut into our world. And now, I am free to write about my ever expanding pant size, my constant and unrelenting nausea, and my excitement (and fear), of the arrival of baby #3. I can tell you stories of telling my girls about the baby's arrival, and their characteristic responses. I can now confess that although this baby was planned, I am scared that it will upset a harmonious balance in my life, career and home. I can share the excitement of planning a new room with either pink or blue hues. I can be reminded of what it is like to grow a new life inside of this (old) body and know that with each kick, something unbelievable is on the horizon. Hopefully you will not grow sick of hearing about this new development. I will try to use this (last) pregnancy and baby rearing experience to discuss important medical, pediatric, and of course, parenting issues. That is, if I can find the time.